Introducing Grande Mascara, an exclusive formula made in Italy. Get instant extreme volume and length, plus healthier looking lashes from its unique peptide blend. 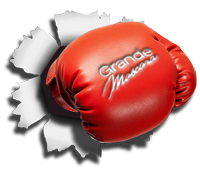 Grande Mascara is black in color and will stand up and do BETTER than most expensive brands on the market today!